Probably something to do with the tiny chip on the 701C's battery. Yes actually. I had the exact same thing when I rebuilt my 701C battery. Well, first check in the BIOS that it reports the battery status as 'good'. 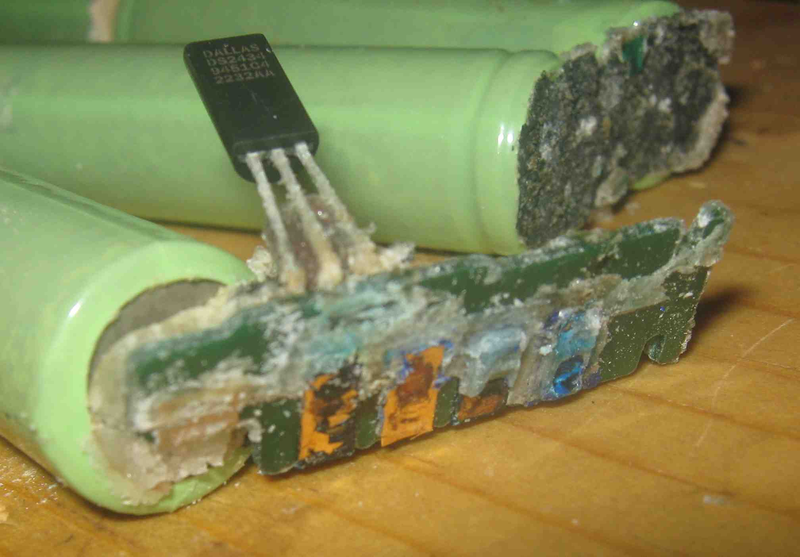 I actually had two batteries to rebuild, but one of the 'tiny chips' seemed to report BAD status to the 701C, so I used the other one instead. Id recommend tossing the original board and getting one from a place like oshpark. How expensive could a simple 3-4 component board be to create and get? Update again: Now it says "bad battery"
I should make my own 701C battery that uses slots for the energizer cells so that they can externally charged. 701C obscure disk issue? Any suggestions?